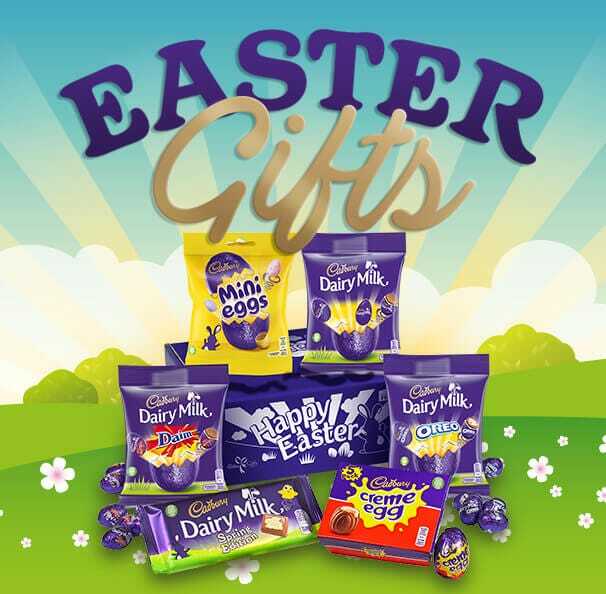 Our Family Easter Selection hamper makes an amazing present for families and friends - packed with a delicious array of Easter Cadbury chocolate. 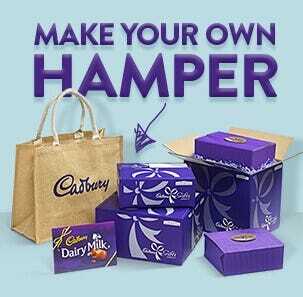 Delivered in a Cadbury Gifts Direct 'Happy Easter' Box and Cadbury Easter gift card, this is a perfect Easter gift for families to share and enjoy. 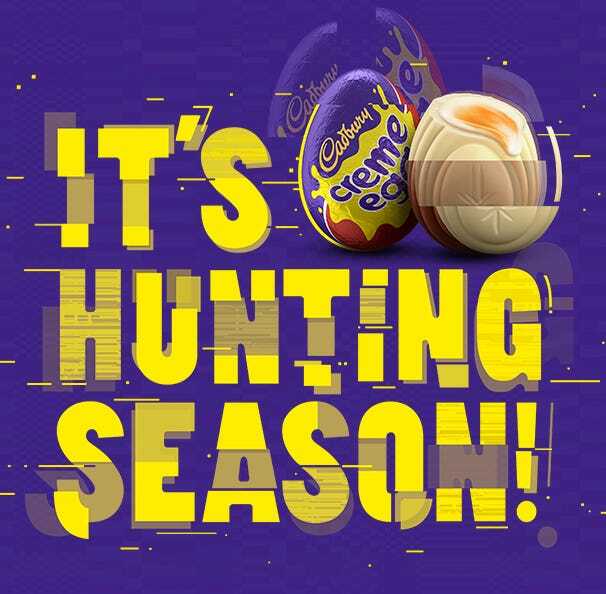 1 x Cadbury Medium Shell Egg Creme Egg 138g, 1 x Cadbury Medium Mini Eggs Shell Egg 130g, 1 x Cadbury Medium Shell Egg Dairy Milk Buttons Egg 128g, 1 x 197g Cadbury Creme Egg 5 Pack, 1 x Cadbury Mini Eggs Bag 80g. Excellent deal. And the recipient was very satisfied with the box of goodies. Beautiful gift, fast delivery, great packaging. 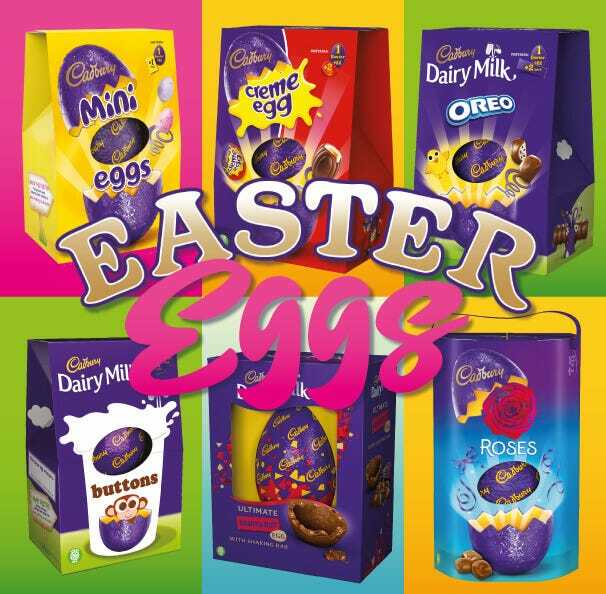 Eggcellent-yummy chocolate-by far the best! Great idea - allows them to share. 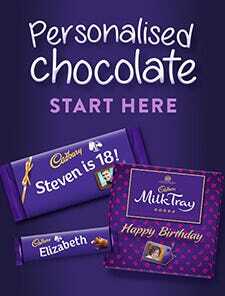 Good variety good price .. Gift was well received! Thanks!! Would have been a great package of the boxes and eggs were not damaged. Bought for my 2 nieces,they were thrilled. 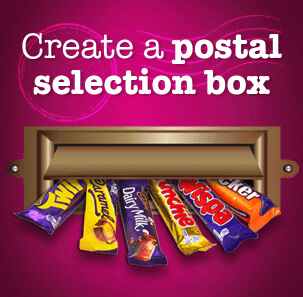 As before, my children and grand children love Cadbury chocolate and as I do not live within easy visiting, the service offered by Cadbury would be fantastic if they would deliver when they say they will. Excellent product, family loved the gift. Beautiful presentation. Good selection of yummy Easter products. My family was delighted, especially the children. 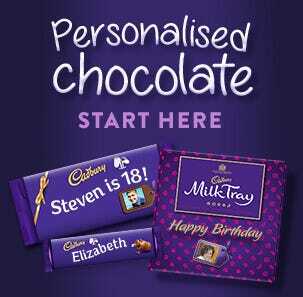 Ideal gift for a family! !